Research work: “Oncogenes in the cancer of the pancreas” received the paper award of the Society of Military Medical Doctors (ΕΕΥΕΔ). The paper was presented at the 15ο Hellenic Military Medical Congress, Thessaloniki, 10 – 11 – 1994. The video «Laparoscopic management of benign tumors of the gastrointestinal tract” (presented at the ΧΧ Congress of the Hellenic Society of Surgery, Athens, 3-7 Nov, 1996) received the «SANDOZ” award (best video presentation). “Who’s Who in the World”, 2002 Edition, Published by Marquis Who’s Who in New Providence, New Jersey, USA. «WHO’S WHO IN SCIENCE AND ENGINEERING” (7th Edition, 2003 – 2004), Published by Marquis Who’s Who in New Providence, New Jersey, USA. “THE CAMBRIDGE BLUE BOOK – 2005”, published by the International Biographical Centre, in Cambridge, England. «GREAT MINDS OF THE 21th CENTURY”, published by the ABI (American Biographical Institute, Inc), Raleigh, North Caroline, USA. LEADING SCIENTISTS OF THE WORLD, 2005, International Biographical Centre, Cambridge, England. ‘INTERNATIONAL HEALTH PROFESSIONAL OF THE YEAR 2010’, by the International Biographical Centre of Cambridge, England. Nominated as an International Health Professional of the year for 2004, by the International Biographical Centre, in Cambridge, England. Honorable mention by the Director of the 251 Hellenic Air Force Hospital for the publication in the Hellenic Armed Forces Medical Review of an issue dedicated to PANCREATIC CANCER (Associate Editor, responsible for this edition). The paper «Optimal management of ductal carcinoma in situ of the breast” published in Surgical Oncology was one of the 10 most downloaded articles from Jan to Jun 2004. The paper “The management of the women at high risk for the development of breast cancer: risk estimation and preventive strategies” published in the journal “Cancer Treatment Reviews” was one of the 20 most downloaded articles during 2003. The monograph entitled “Surgical management of breast cancer – an historical narrative, from prehistoric times to the down of the 21th century” received the Annual award of the Geroulanos Foundation (2009), during the 35th Congress of the Athens Medical Society (Hilton, May 2009). Sakorafas GH. Surgical management of breast cancer, from the prehistoric times to the down of the 21th century, Paschalidis Medical Publications, Athens 2009, pp. 154. Editor of a special issue of the HELLENIC ARMED FORCES MEDICAL REVIEWS dedicated to Pancreatic Cancer (Athens, 2004, pp. 66). Sakorafas GH. Oncogenes in the cancer of the pancreas. Ph D Thesis, Athens, 1994, pp. 90. Sakorafas GH. 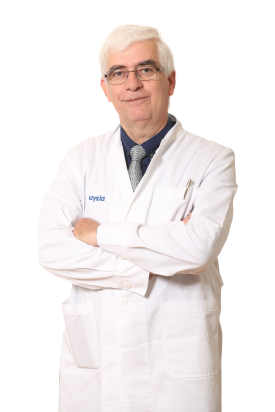 Editor of the Greek Edition of the book «The Mayo Clinic Gastrointestinal Surgery” , Keith Kelly, Michael G. Sarr, Ronald A. Hinder, Ed, Saunders Ed, Philadelphia, 2004), Lagos Medical Publications, Athens 2007, pp. 919. Sakorafas GH, Tsiotou AG. Septic shock: current pathogenetic concepts, optimal management, and future perspectives, Monograph, Nova Sciences Publishers, New York, 2004, pp 115. Editor of the Greek Edition of the book “Le medecin militaire et les conventions de Geneve, Olivier Servais”, Govostis Publications, Athens 1994, pp. 180. Editor of the Greek Edition of the book “Le Cerveau et l’ Esprit, Guy Lazorthes, Flammarion-Paris”, Govostis Publications, Athens 1991, pp. 236. Editor of the Greek Edition of the textbook “Τhe ICU Book”, Marino P (Ed), Lagos Medical Publications , Athens 1999, pp. 747. Sakorafas GH, Farley DR. Breast Conservation Therapy for Breast Cancer; Atlas of Therapeutic Intervention, Monograph (e-book), Digital Content S.A., Athens, 2003, available on-line, www.e-bookshop.gr, pp 120. .Sakorafas GH. Breast cancer, Monograph. Lagos Medical Publications, Athens 2000, pp. 58. Sakorafas GH. Total parenteral nutrition in the management of the cancer patient. Lagos medical publications, Athens 1996, pp. 95. Sakorafas GH. Gastric cancer, monograph, Myrtilo Ed, Athens 1996, pp. 280. Sakorafas GH. Laparoscopic management of choledocholithiasis (+ video), Kormos Ed, Athens 1995, pp. 58. Sakorafas GH. Clinical significance of oncogenes. Infomedia ed, Athens 1993, pp. 80. Sakorafas GH. Immunotherapy in the management of cancer, Monograph, Diatton Editions, Athens 1990, pp. 71. Sakorafas GH, et al. Ultrasonographically guided, compartment-oriented lymph node dissection in the management of papillary thyroid cancer. Int J End Oncol 2016: 3(2): 85 – 87. Sakorafas GH, et al. Preoperatively diagnosed microscopic papillary thyroid cancer; an aggressive approach in selected patients with small nodules. Int j Endo Oncol 2015; 2(3): 241-247. Sinos G, Sakorafas GH. Pyramidal lobe of the thyroid: anatomical considerations of importance in thyroid cancer surgery. Oncol Res Treat 2015; 38: 309. Sakorafas GH, et al. Incidental thyroid C-cell hyperplasia: clinical significance and implications in practice. Oncol Res Treat 2015; 38:249. Sakorafas GH, et al. External branch of the superior laryngeal nerve: applied surgical anatomy and implications in thyroid surgery. Am Surg 2012; 78:986. Kassaras G, Antonopoulos K, Sakorafas GH. Successful conservative treatment of chyle leak after total thyroidectomy and modified radical lymph node dissection. Am Surg 2012; 78:E420. Sakorafas GH et al. Interval routine appendectomy following conservative treatment of acute appendicitis; is it really needed? World J Gastrointest Surg 2012; 4:83.